Indian players are up against the odds and making their presence felt across the globe. I saw the story on NDTV 24×7 about Rohan Bopanna’s win against Uzbekistan’s Farrukh Dustov. Rohan Bopanna outplayed Farrukh Dustov in straight sets to give India a vital 1-0 lead in the Davis Cup Asia Oceania Zone Group I tie against Uzbekistan on Friday. The Indian stormed past his opponent 6-3 6-3 6-1 in the lopsided first rubber in little over an hour on a chilly morning at the DLTA Courts. Dustov could hardly put up a fight against the rampaging Indian, who broke the Uzbek with ease and was on top from start to finish. Bopanna stamped his authority with some crisp serve and volley throughout the match. The big-serving Indian also used his booming first serve to good effect, sending four aces in the first set as he went 4-2 up. NDTV 24×7 is available in the US only through DirecTv. I was observing my daily routine of watching the global news on NDTV 24×7 while getting ready for office and I saw the coverage about one of the most ambitious takeover move…. Microsoft Corp. offered to buy search engine operator Yahoo Inc for $44.6 billion in cash and stock in a move to boost its competitive edge in the online services market. 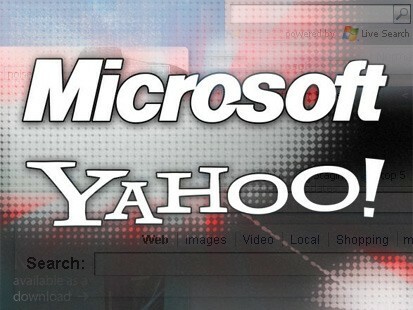 Microsoft bid $31 per share for Yahoo, representing a 62 per cent premium to Yahoo’s closing stock price on Thursday. I prefer watching NDTV 24×7 as it is India’s most respected news channel and it the news coverage is ‘to the point’ unlike other news channel where every news is a breaking news.